More Dark Souls! Since it is almost the only thing I've been playing for weeks, I guess it was only inevitable that I write another one of these, huh? If you've been watching my live stream at all, you'd have seen me crafting this build, which has ended up being somewhat effective so far. I also mentioned it on the most recent episode of the Secret Moon Base podcast. I'd like to tell you all about it. Warning: this post is serious Dark Souls nerdage. There shouldn't be any spoilers, except the names of equipment you might not have seen. This is a flavor of dexterity/faith rapier build. I guess the basics of this build are pretty well known by experienced Dark Souls players at this point, but I've imposed certain restrictions upon myself to try to differentiate from the "optimal" one. Despite these restrictions, I made Darkmoon Blade +3 (80 PvP kills) in about 3 days with probably a > 70% K/D spread, so it's vastly exceeded my expectations. For any not-Dark Souls fanatics, I'll briefly explain dex/faith builds. Thrusting swords like rapiers scale their damage well according to the dexterity stat, so I'm using them as my primary weapons. With high faith, you get access to certain temporary weapon enchantments that add huge amounts of damage. Put these together and you have a mean combination. - no backstabbing unless the opportunity is very carelessly presented to me. So far I have barely even backstabbed for healing during the fight. - no Dark Wood Grain Ring, and I have to fast roll (that is, keep under 25% equip weight - only wear light armor). - Wrath of the Gods only as a defensive measure. It is a fast-casting area attack with high damage and is considered cheap by some. - Hollow Soldier Waistcloth - has the highest poise to weight ratio in the game! The name of this build harkens back to that oh-so-lovely scene from Pulp Fiction: "...when I strike down upon thee with great vengeance and furious anger..." The play style is a headlong rush, and the vengeance is, of course, Gwyndolin's. Not that I rush opponents in duels or anything like that. The cornerstones of this build are the magic choices: DMB/SLB and Power Within. These are temporary boosts and represent throwing all your weight behind your first press. Power Within using an un-upgraded pyro glove drains 11 HP / sec, which gives you 100 seconds before you die! Heh, with a +15 pyro glove it's 20 HP / sec. OUCH. 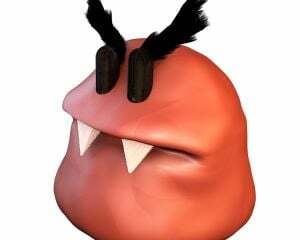 Depending on the area I'm in and my mood, I might switch out Power Within in favor of Replenishment, which heals slowly enough that it's probably not considered "cheap" healing, and offsets such things as swamps and lava. The armor choices are very specific. 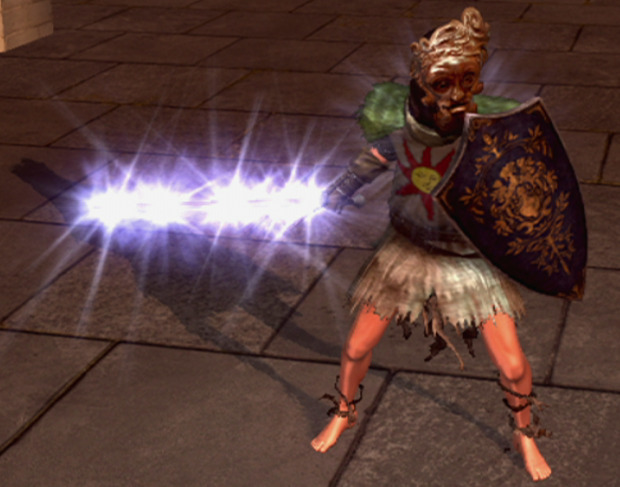 With the armor shown, you get 26 poise. With the Wolf Ring that comes to 66 poise, which has worked pretty well so far. Poise matters. The weapon choices are likewise pretty restricted. With the remaining equip burden after taking armor into account, only very light weapons will fit. Heh, in fact, I can wield a Ricard's Rapier with a Shotel in second slot, but if I swap in the Estoc instead, the Shotel is now too heavy by 0.5 pounds. Yikes! The build favors quick kills and exploits the opponent's impatience and mistakes, but suffers when the opponent is cautious and the fight goes long. Most of my time is spent furiously rushing my opponent, attacking quite a lot. I haven't been parried much so far, maybe due to the speed of the rapiers, or maybe due to luck. A lot of the time is spent doing the sprinting R1 attack (that rad lunging double-poke). Quick side note: that double poke is unique to rapiers' movesets, an example of how Dark Souls differentiates weapons by more than just damage. That being said, most opponents who go 2-handed or drop their shield aren't expecting 1000+ damage from that sprinting lunge. What does this abomination of a character look like? Well, in a word, UGLY. By the way, that's a SHE. Opponents with Eagle Shield who wait until the weapon enchants run out. You can switch to the shotel to try to deal with them, but I've had mixed success. This is probably my inexperience showing. Opponents who rush. I don't call this cheap; it's their prerogative to exploit a weakness in my build. So it can be dicey getting the buff on my weapon in time, especially in the Kiln or forest. Outnumbered fights. This build works best targeting a single opponent. Part of that is due to the narrow arc of the rapier. Arc? The arc is nonexistent! It's a poke directly in front of you! A Claymore this is not. In 2v1 and 3v1 fights, your best bet is to look for openings in either player and try to eliminate him quickly, so you can go back to defending your back against the remaining ones. Wrath of the Gods sometimes helps here if they all get in too close. Still, I have lost far more of these than I've won. In these cases I will not put on Power Within, because the fight is bound to be too long. Bleed damage. Turtling up like sometimes happens in these fights is no good against an opponent inflicting bleed damage. I need to dodge more in these cases, I suppose. So yeah, that's my build. It took about 60 hours to get to get to the conventional PvP level of 120 and get all my equipment in order, but I wasn't going at a crazy pace. People in the live stream chat sometimes comment on my self-imposed restrictions. 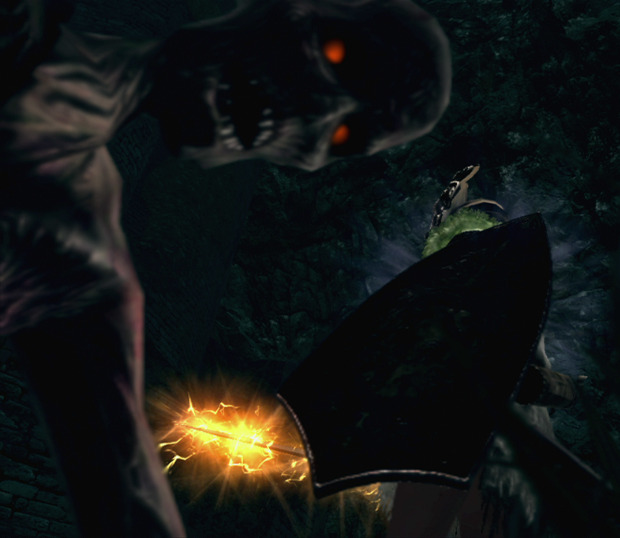 I have this to say: backstabbing makes PvP in Dark Souls uninteresting. It's not fun to fight against; after a while it's not fun to watch; I imagine eventually it's not even fun to play. Likewise, huge numbers of people are using some of the same equipment, like the Dark Wood Grain Ring. I think doing something different is fun, even at the expense of winning.